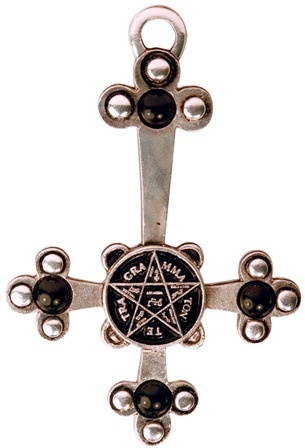 Constructed around the most profound symbol in the Lesser Key of Solomon, the creative light of the Holy Tetragramaton, inscribed in the central pentagram, balances the dark energy of the surrounding cross in a perfect metaphor for universal polarity. 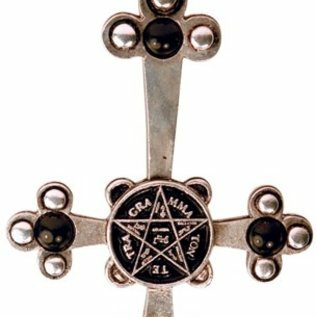 Reputed to bestow upon its wearer the power to see Darkness where others see Light, and Light where others see Darkness. For Illumination. Approximate Size: 2”" x ”"